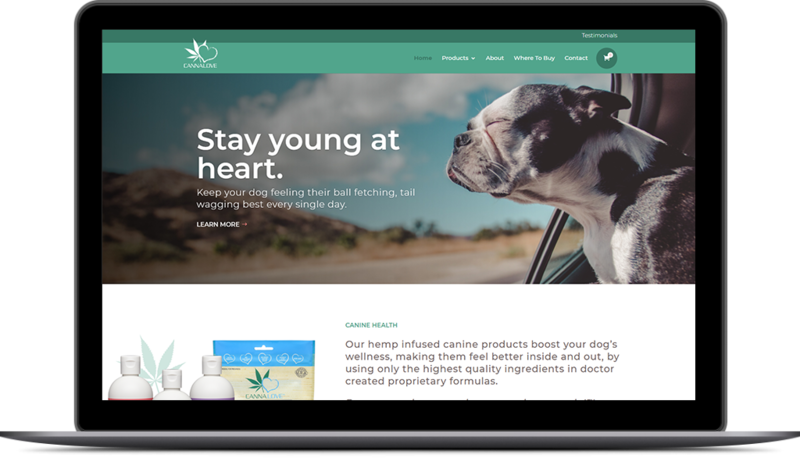 Cannalove is a company that sells CBD-infused dog treats and oils. 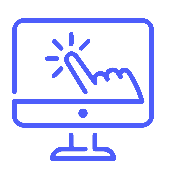 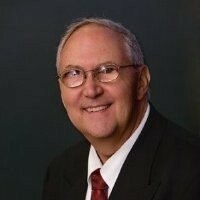 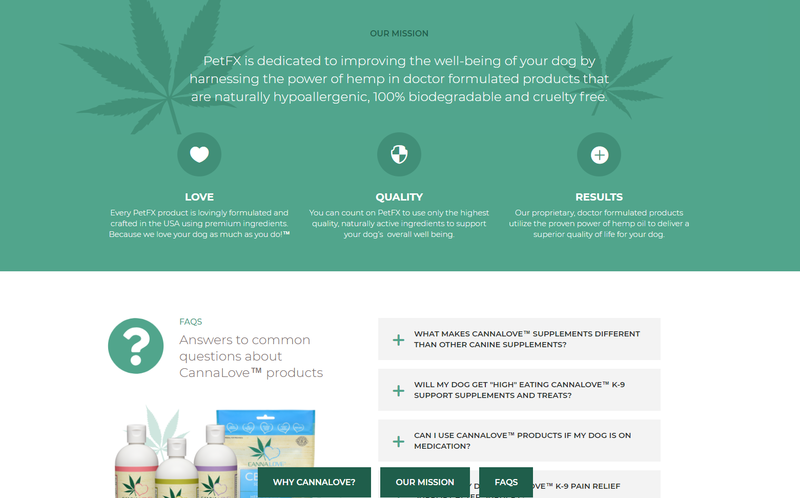 They required a full website design and development from concept to completion. 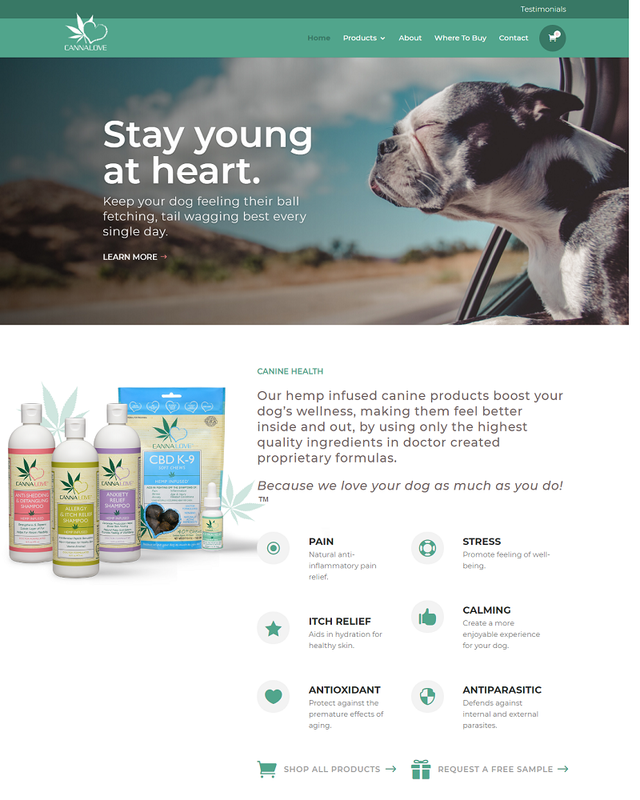 This project required a high-end brand and design to show case a new line of hemp-infused dog shampoos, treats, and oils. 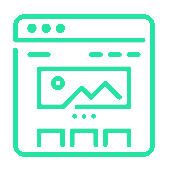 An eCommerce platform was setup to create an online store to sell 12 initial products. 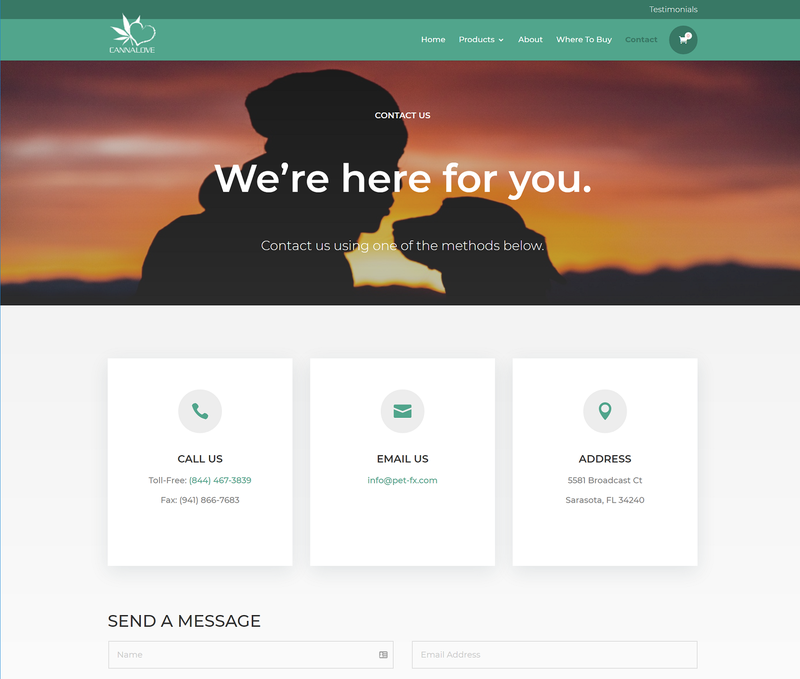 A beautiful header image and title gives customers insight into the cannalove brand and values. 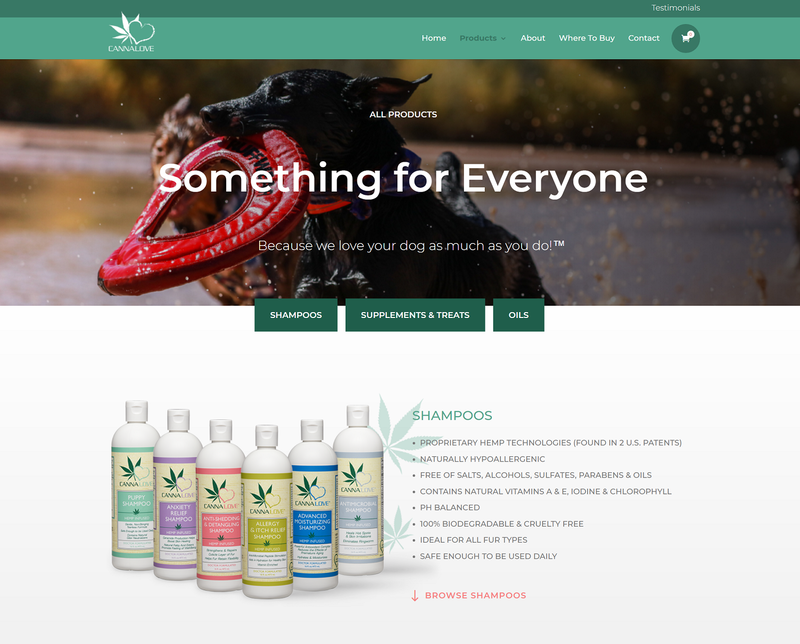 Free samples of the dog shampoos were promoted on the website.